I'm loving this so far! I'm so excited to see how Easy Street turns out! 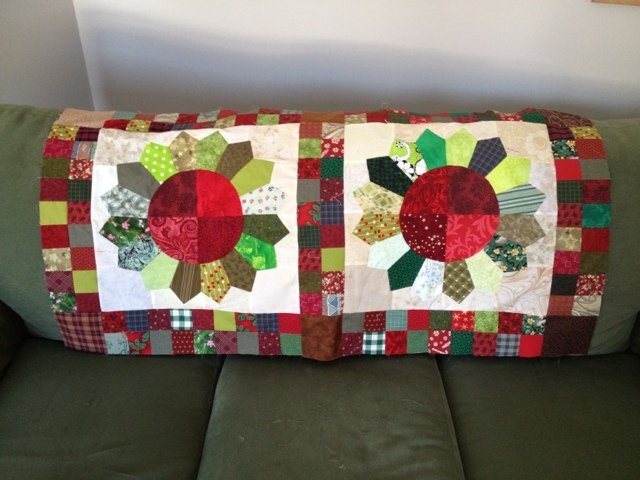 Scrappy Christmas Dresden blocks. Two done. Seven to go. I hope to finish this by the end of February 2013. Consider that a New Year Resolution. Bonnie is keeping me guessing! I finished part 5 of Easy Street and have absolutely no idea what this quilt is going to look like. Check out everyone's blocks here. I went on vacation during Easy Street clues 2 and 3, so I had a lot of catching up to do this week. I have absolutely no idea what I am going to do with this 9.5x12-inch block, but it was fun to piece! Check out everyone else's Easy Street blocks . I swore that I would not start another project, but who can resist a Bonnie Hunter mystery? Here are my step one blocks. I did not have gray scraps so I just used yardage from my stash. Check out everyone's progress here! I spent this afternoon with the Hudson Valley Modern Quilt Guild. I am looking forward to learning new things From this group. I love to quilt. I love the quilt community. Sometimes I get to combine those loves and make a quilt to donate to an auction supporting the quilt community. I enjoyed making this quilt and I will miss it just a little bit. I hope it finds a new home with someone who loves it! If you are in Houston for Festival this week, check out all of the small quilts and bid on a few to support the IQA! 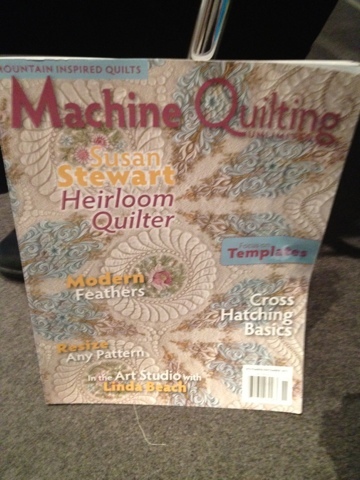 Run, do not walk, to pick up a copy of Machine Quilting Unlimited magazine. It's a fabulous magazine with the latest and greatest in machine quilting. If you turn to pages 44-46 you will find an article about me! Page 46 has a photo of my favorite quilt. Any guesses which quilt that is? When I made my young friend a Minimalist Kermit pillow, I decided to make a Miniature Minimalist Kermit quilt for myself. There has been no sun this week, so I haven't been able to get a photo with true color. I have more plans for my Not-So-Serious Quilt Series. While on call for jury duty this week, I started another fun quilt project. It's a very serious quilt, since quilting is VERY SERIOUS BUSINESS (wink). There are letters on this quilt that spell out a word or phrase. I made this quilt for one person, but now can think of three others who deserve a Rock Star quilt. I will have to make more! What words should be on my next super-serious quilt? 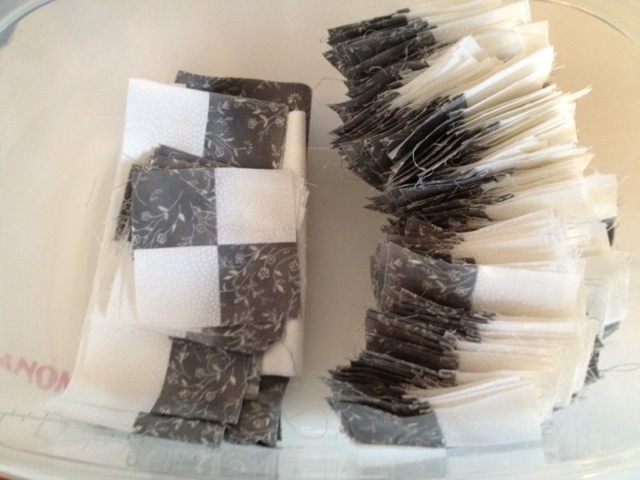 Sometimes I have to remind myself that, even though I am very serious about quilting (it is my JOB! 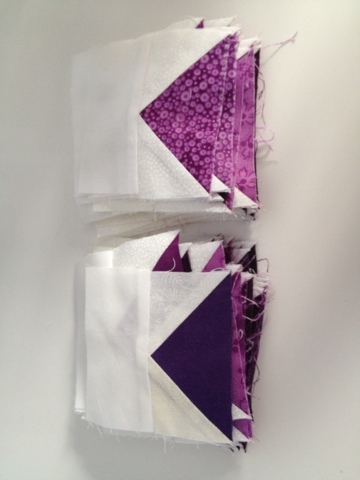 ), quilting itself doesn't have to be very serious. Last week a young friend introduced me to Eric Slager and his Minimalist Muppets. Something about the simplicity of the shapes just stuck with me. I decided to see if I could reproduce one of the Muppets as a pillow for my young friend. My young friend loved it! And I love her. I don't think I am done with Mr. Slager's work yet. Which Muppet would you choose next? 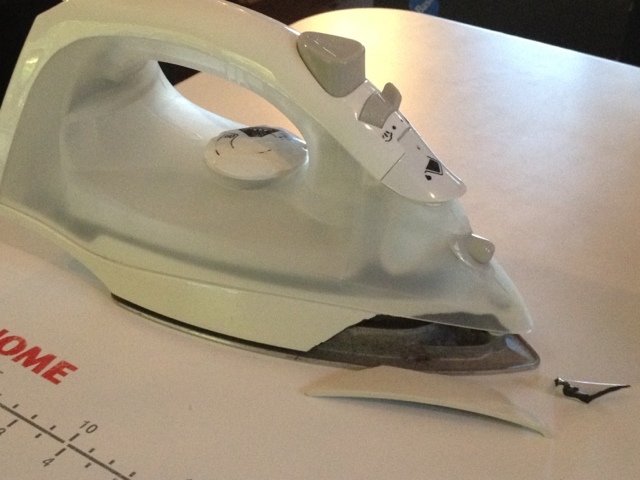 Send in recommendations for a new iron please. I have already started the process of making a quilt from this photo. 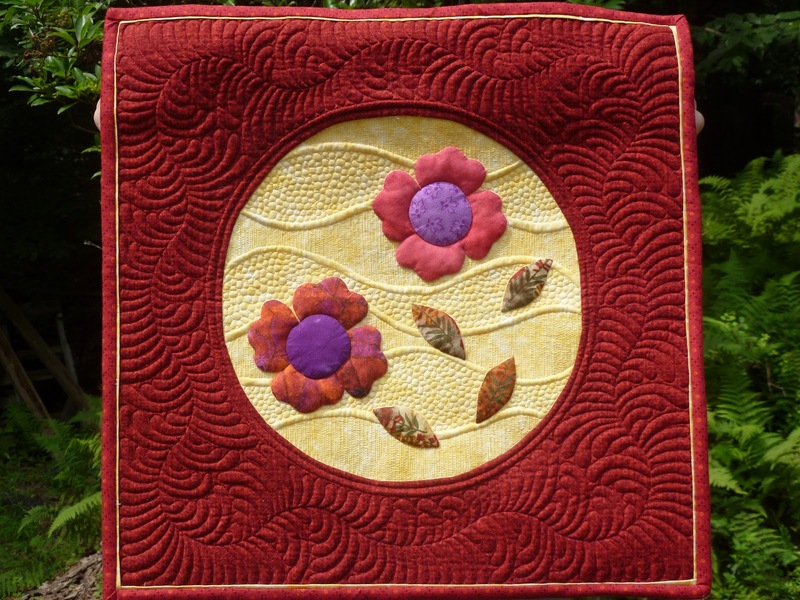 I am sure that there is a computer program that can do this work for me, but the tracing helps me get my brain around the objects in the quilt. I am trying to decide on the background fabric. Should it be pieced or a single piece of fabric? Help me decide. I am home from Australia and slowly adjusting to being on this side of the planet again. 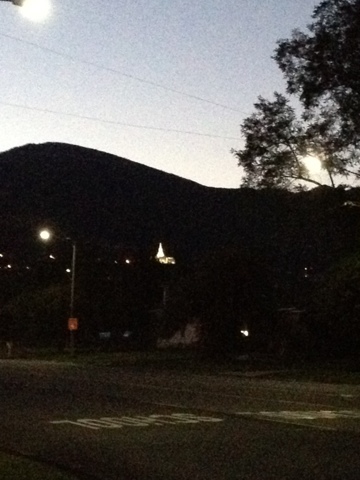 Yesterday I was awake and ready to face the world by 5:30 pm. Today I was out of bed around noon. I call that progress. I will be posting my Australia photos over the next several days, but wanted to show a here vs. there selection. A photo of the clear blue sky in Glenelg. A photo of the clear blue sky at home. One of these photos will be the basis for my next quilt. Vote for one! ... The Steelers rule. I found an Australian fan!!! I am thrilled to be blogging from Adelaide, Australia this week! Since I am very busy working at the Quilt Festival and the time change is not being kind to me, I have not had too much time to explore. I have had time to check one thing off my "things to do in Australia" list, though. 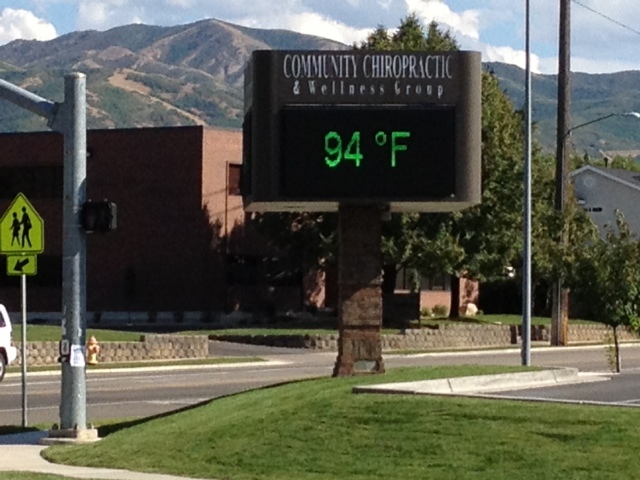 Good news: I exercised anyway! No, I did not just call you. No, really, I am sure. No, I am not Kelly. Yes, I do know someone named Kelly but I am not her. Really. No, there is not someone, like, "younger" in the house. This is why I am awake at 1:45 am googling "how to fall asleep.". Answer number three looks promising: drink a relaxing beverage. 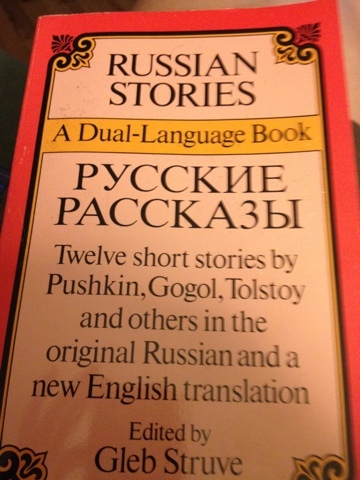 My dual-language book arrived in the mail. I am so excited! 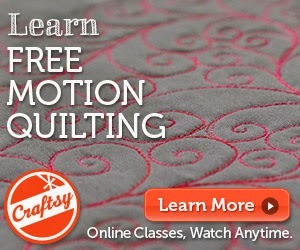 I remember talking about Handi Quilter and my experience being a guest on Quilt It! 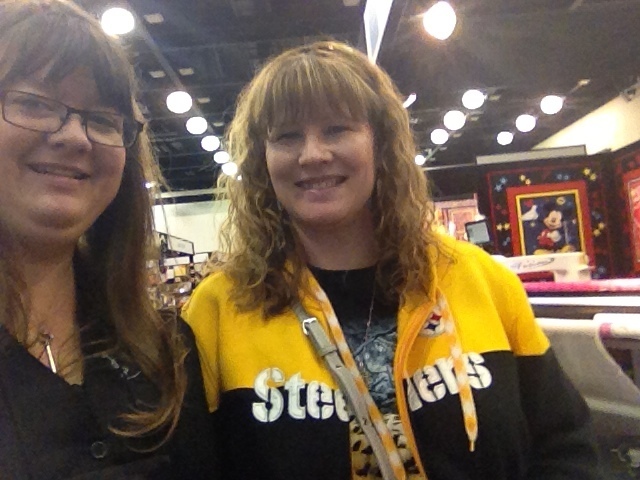 the Longarm Quilt Show. I have to confess to not really understanding the video at all. Maybe after a few more trips to Russia? Be prepared to hit the "translate" button. I met Elena when I was in Moscow and she blogged about the day we spent together. I want to go back to Russia!!!!! 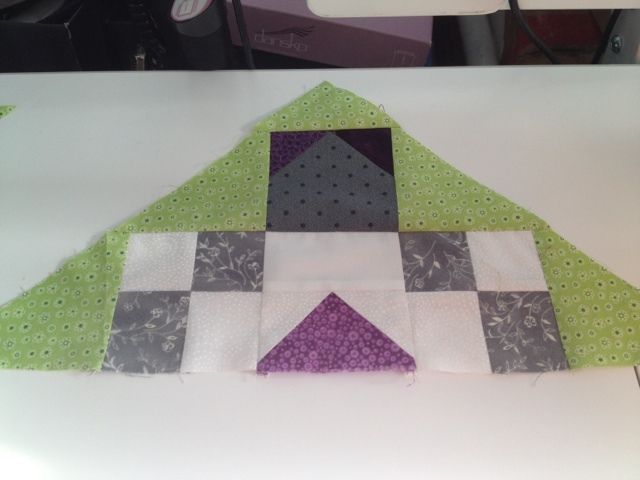 As promised, here is the next installment of the quilting of Brooklyn's quilt. I nearly forgot to post this; jetlag is not for sissies. I am quilting the 16-patch block in this next video. I am using a Handi Quilter Half-Circle template with my sweet Sweet Sixteen. and 1/4-inch away from my ending corner. There are lines on the template dividing it into sections, but I ignore all of the markings and position the template only based on the starting- and ending-points. 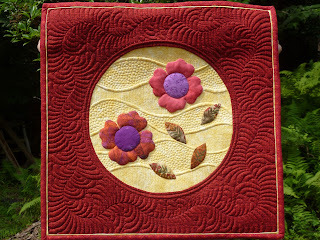 I leave tomorrow for Quilt Odyssey in Hershey, PA. I will be working with the Quilt Basket there. Will I get to see any of you there? Hopefully I will remember to post the next video when I get home from there! Several weeks ago, Handi Quilter asked me to go to Russia with them to teach how to use the HQ 18 Avante and HQ Sweet Sixteen. I jumped at the chance, but not because it was not a life-long dream of mine to go to Russia. I had actually never considered going there; I have never considered making a trip to the moon, either. Both places seemed equally out of reach for me. I realized what an opportunity they were offering and have been eagerly anticipating this trip. I made this to deal with the frustration of applying for my Russian visa. That process made filing my income taxes look quick and easy. I was worried that everything about going to Russia would be that difficult. It once took me 30 hours to get to Edmonton, AB, Canada from Hartford, CT. Last year it took me 68 hours to get from Pelham, NH to Salt Lake City, UT during Hurricane Irene. I was having nightmares about all of the things that could go wrong during a trip to Russia, but my trip went very smoothly. The travel time from my front door to my hotel in St. Petersburg was exactly 24 hours. While planning my trip to Russia, I tried to do a little research online about what Russian quilters are like, what types of fabrics they use, and what types of quilt shops they have. I can 'google' with the best of them, but I found very little information about quilters, quilts or quilt shops in Russia. I went on my trip with absolutely no expectations. I taught three days of classes in St. Petersburg. I was worried about teaching through a translator, but it was much easier than I expected it to be. Quilters in Russia are like quilters are here in the United States and we just understood each other. It is amazing how far one can get by pointing and using hand gestures. I certainly used my translator, but when she had to leave the room the students and I still understood each other. I did some demonstrations and let the students fall in love with the machines. She pets and hugs the Sweet Sixteen as much as I do! Sergei (the big fellow in the black shirt) was quite a prankster. He kept our classes lively. 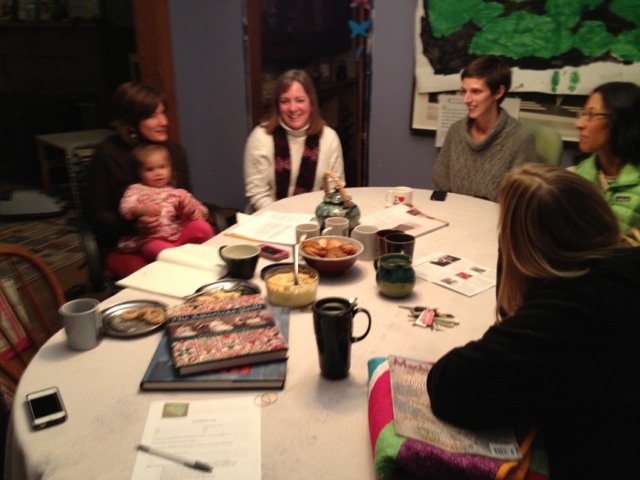 Ludmilla (on the far right) is a very talented quilter and quilt teacher. Natasha (to my left) is a very happy and enthusiastic quilter who works in the quilt shop. I am certain that I learned as much from my students as they learned from me. Yes, I plan to copy this railing pattern in a quilt someday. It was advertising the quilt shop across the street from the Metro. Maybe their next ad will feature Handi Quilter? Across the street from the Metro station and down a few flights of stairs was one of the largest and brightest quilt shops I have ever seen. The photo only shows one small portion of the shop. Alexander is an expert at fixing sewing machines and he was eager to try quilting on this one. He would point at the machine and say "Avante" while holding up two thumbs. I guess he likes it! Moscow quilters have inspiration everywhere, as well. I am home now recovering from my 23 1/2 hour journey. I am so grateful that I got home at 10:30 last night so I could go directly to bed, sleep well, and wake up today as good as new. OK, maybe not as good as new, but I'm still vertical. I saw so many beautiful things while I was in Russia and am just itching to turn one of my photos into a quilt. Maybe I will work on this one tonight? I met a new friend this morning -- Jerry. He wanted to learn how to quilt, too! If you want to see nice, go to ГУМ (pronounced: goom). It is a super-luxurious shopping mall on the eastern side of Red Square. Crazy! But definitely worth seeing. My co-worker wanted to buy a gift for his wife. He saw a purse. I kept saying "You can't afford it." He didn't believe me. $1500 US. "But it's just a fabric bag!" he said. Yep, it is. It was that sort of mall. After we got thoroughly soaked, we headed back to the hotel for a ragout. Fan-tas-tic! Time for bed. Спокойной ночи!